02/05/2014 There has been a lot of talk about childhood responsibility lately, on the back of a new law drafted by the Spanish government. While most parents around the world recognise the positive effects of childhood chores, the Spanish government has gone one step further by drafting a new child protection law requiring children under 18 to share in the responsibility of caring for the home. Along with designated chores, the draft law also includes a section stating that children need to be respectful of their parents and teachers. While other governments are unlikely to follow the Spanish lead, this draft law has definitely got people thinking about the benefits of childhood responsibility. In many parts of the world, children help in all aspects of family life, from basic jobs like cooking and cleaning through to more responsible acts such as working for the family business or caring for younger siblings. Even though these jobs spring from necessity in most situations, according to many experts, kids in the West are missing out on valuable life lessons. In Western culture, childhood chores have become a choice rather than a necessity. It's left up to individual parents to teach children accountability and responsibility, in order to provide them with the lessons they need later in life. According to experts, the simple act of assigning household chores for children can teach them a lot about how the world works, giving them a sense of ownership over their living space and making them realise the important connection between work and reward. 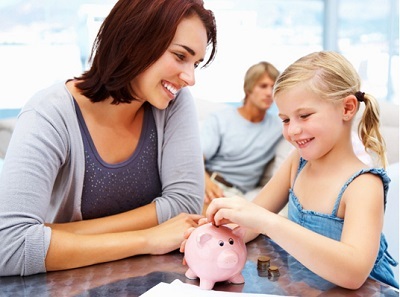 Teaching kids about financial basics early in life is also a great way to help them develop good habits. Kids benefit greatly knowing where money comes from and how it is spent, through basic savings routines and spending education. The UK government has even made the decision to include financial education in the National Curriculum for secondary schools from September 2014, with other countries looking to set up similar programs. According to some experts, however, financial habits are already set in stone by high school years, with parents needing to take the initiative at a much earlier age. "We recently carried out in-depth research and found that adult financial habits are set by the time a child turns seven. These findings reveal that alongside the role played by schools, the way to influence the habits of children is through their parents." said Kirsty Bowman-Vaughan, young people policy manager at the UK government-backed Money Advice Service. Parents are in the best position to offer helpful advice on money matters, from explaining the basic difference between “needs” and “wants” at an early age through to talking about more complex concepts such as inflation and interest rates later in childhood.